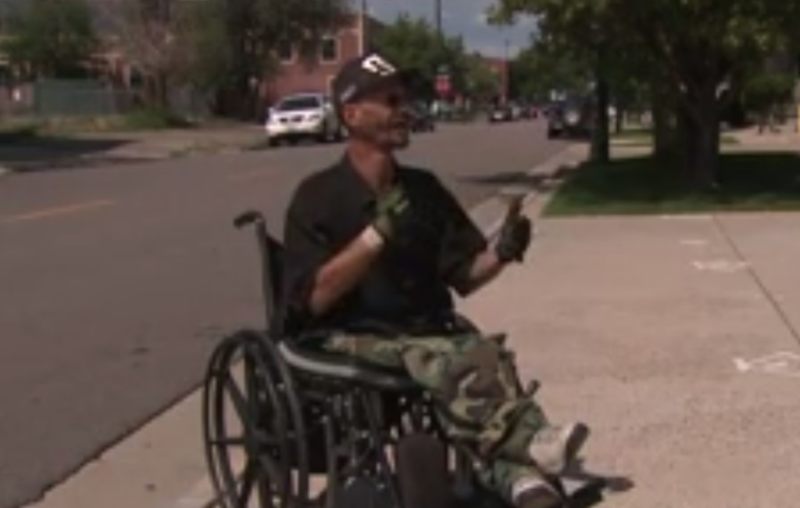 A Colorado man trying to cross the street in his wheelchair suffered minor injures after a vehicle hit him. However, the man was cited for disobeying traffic laws and not getting across the street in the allotted time for pedestrians. According to Kyle Wolfe, he was going across a downtown Denver street after getting the green light to move across. 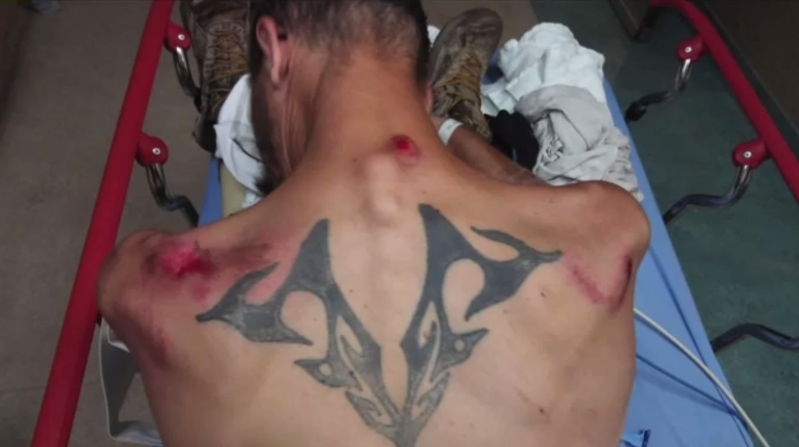 Wolfe said he wasn’t very far from the curb – about five feet – when an SUV hit him, totaling his wheelchair and left him bruised and battered. When police arrived, the officer gave him a ticket because he wasn’t out of the street when the signal changed. Wolfe said he was shocked that he would get a ticket when the pedestrian should have the right of way. He said he was trying to get across the street quickly, but with things in his lap constantly falling, he was unable to do so. Wolfe said he had to pick up his items that kept falling. He said the problem is that people have no desire to stop. Where the man was trying to cross, there is a 20-second window for pedestrians to get across. The street width is what factors into the time limit. Federal regulations say a person can travel 3.5 feet per second. Wolfe said this is fine for people who can walk, but doesn’t take into consideration people who have disabilities. He said 20 seconds is not long enough for a disabled person to get across the street. Wolfe said he’s also upset with the officer, who he felt wasn’t being sensitive to his disability. He said people often think a handicapped person is just like everybody else, but they’re not. It’s not known if the citation was legal because Colorado traffic laws state that even if a person hasn’t fully crossed a designated crosswalk in the time permitted, drivers must give them the right of way. According to a spokesperson with the police department, Wolfe can fight his citation in court.